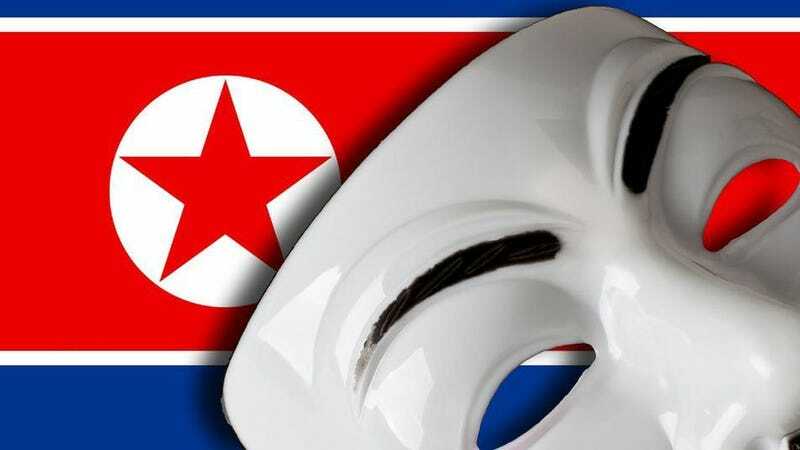 A team of hackers appears to have broken into North Korea's official, government-run Twitter and Flickr accounts. Evidence left on the sites suggests that the hacks on the social media accounts were carried out by Anonymous activists. North Koreas's Uriminzokkiri Twitter and Flickr accounts started sending out atypical messages and images several hours ago (see screen grabs below), and so far normal service hasn't resumed. The Flickr site currently displays a picture of Kim Jong-Un's face complete with a pig-like snout, along with images synonymous with Anonymous. A series of tweets read merely "hacked", followed by links to North-Korea-related websites.